On the 6th November Asda launched their Chosen by Kids Event, and I was intrigued as to which items would be included. Afterall, when it comes to toys this Christmas, there really is no better critic than a child themselves. 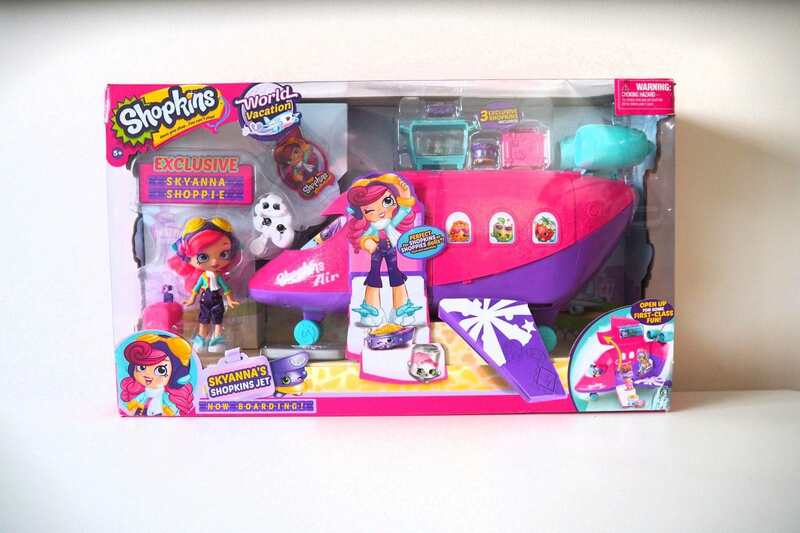 One of the items that was chosen by kids is the Shopkins Skyanna Jet which, knowing how much my girls love Shopkins, came as no real surprise to me! 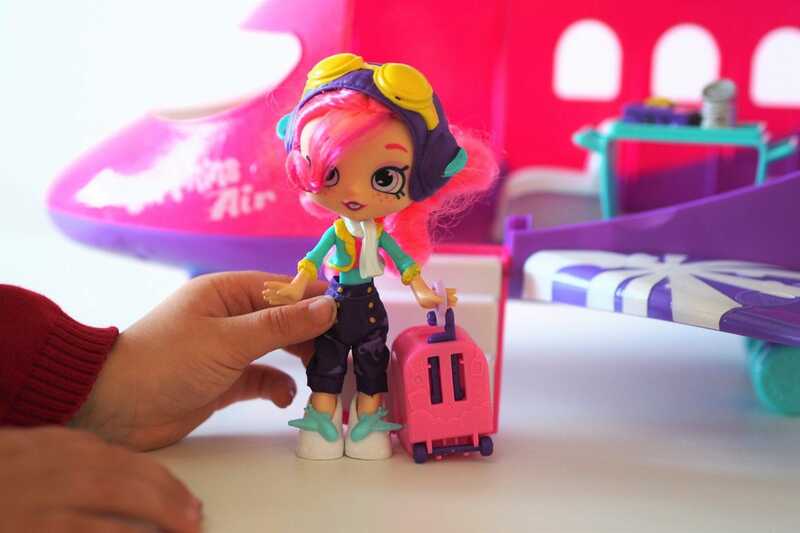 The Shopkins Skyanna Jet comes with an exclusive Skyanna pilot doll, 3 exclusive Shopkins characters, a Jet plane playset, an exclusive luggage bag, a cart, a suitcase, a passport, a hairbrush and a VIP card to use with the free World Vacation app. 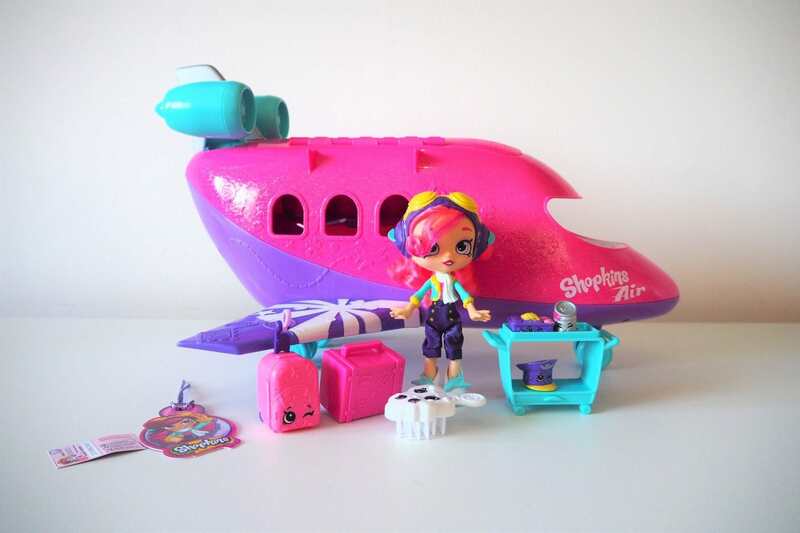 Skyanna herself is pretty special, with pink brushable hair, flying goggles and a funky outfit. And my girls, who have never had a Shoppies Doll before, swooped on her in excitement! 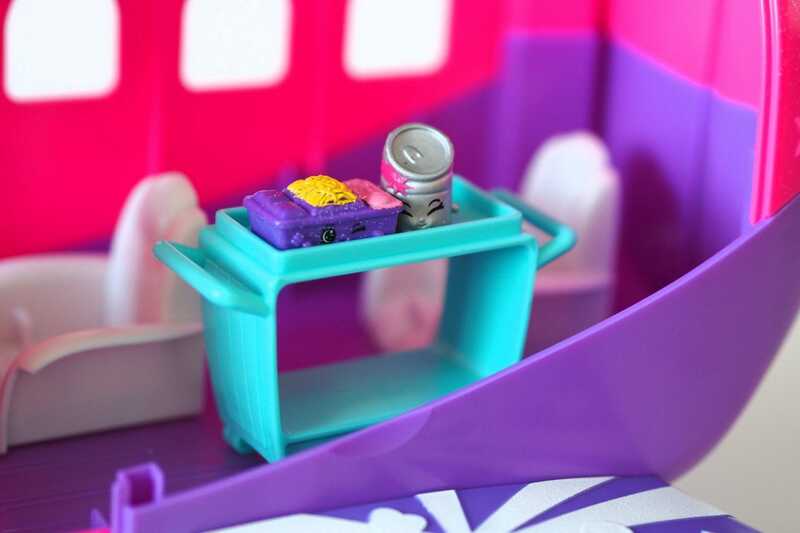 The set comes with so many little extras which really make the playset open to hours of fun. 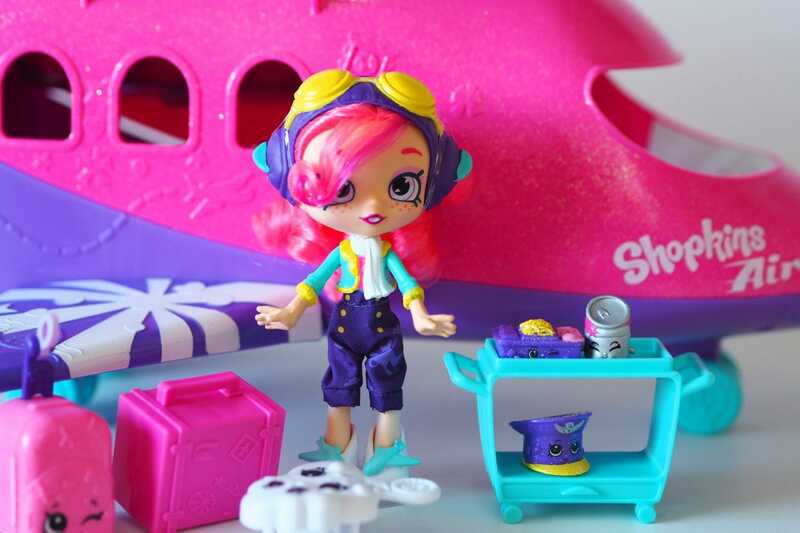 The girls loved the in-flight cart with the exclusive Shopkins figures. 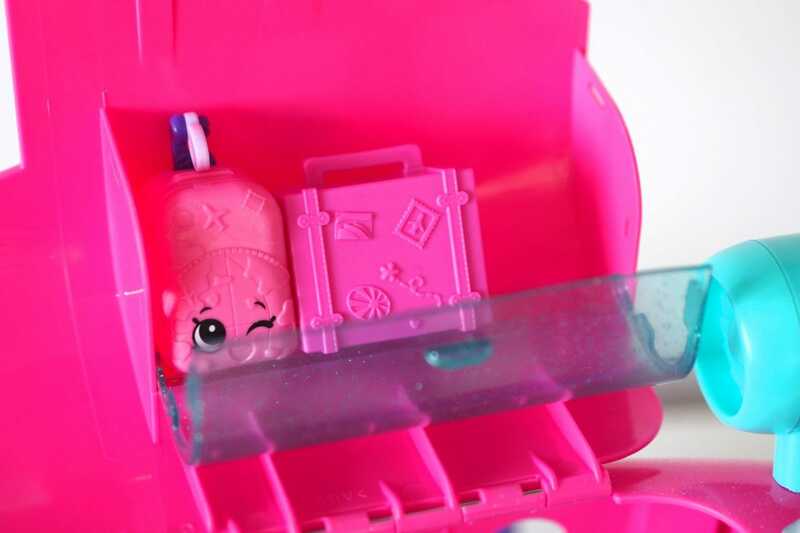 The bag and suitcase can be opened and pulled along by Skyanna herself by hooking onto her arm. The luggage can also be boarded onto the plane and placed in the overhead compartment. The plane folds open for easy access and closes up ready for take off. 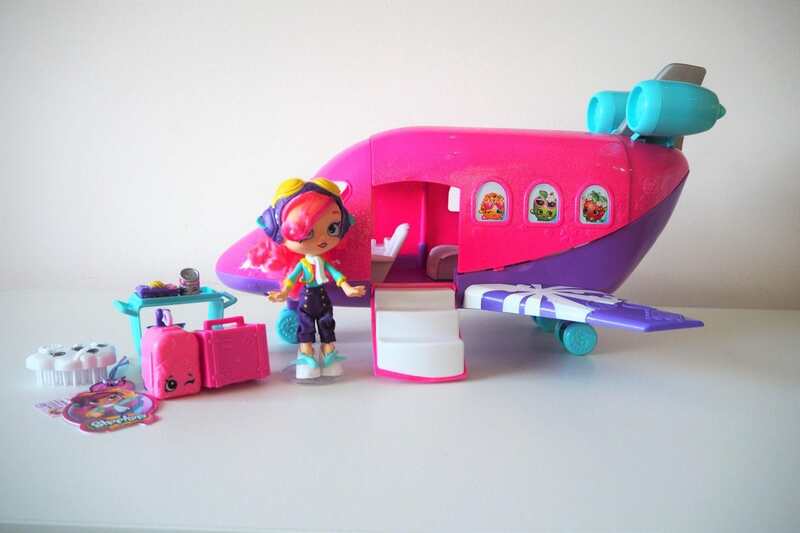 The jet can hold three jet-setting Shoppie dolls, has rotating seats for extra comfort and plenty of room besides Skyanna in the cockpit for Captain Zoom. 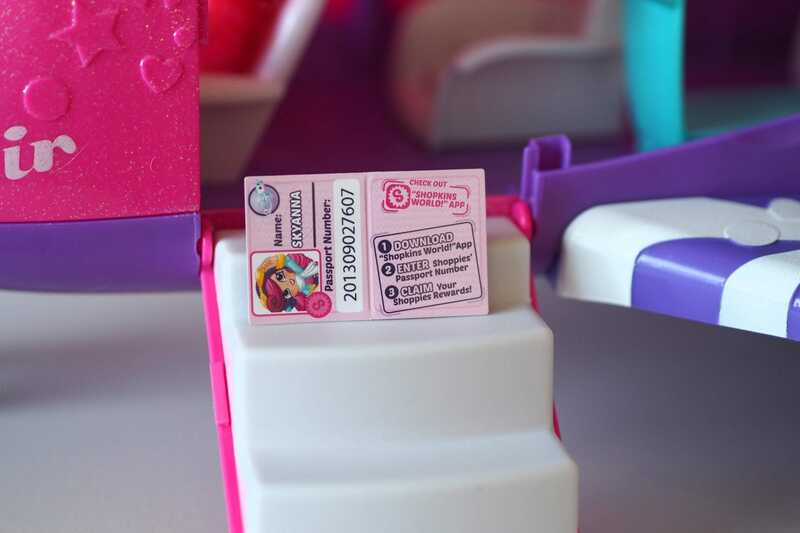 I love that Skyanna comes with her own passport as well as a unique passport number to use on the Shopkins World app. 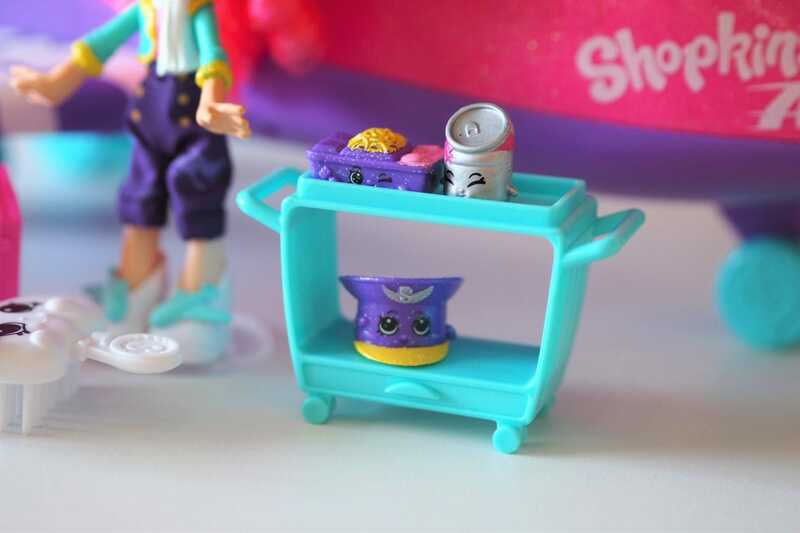 It’s the little extras like that which make Shopkins a firm favourite with my girls. I also love that even without any other Shopkins toys, this is a complete playset. 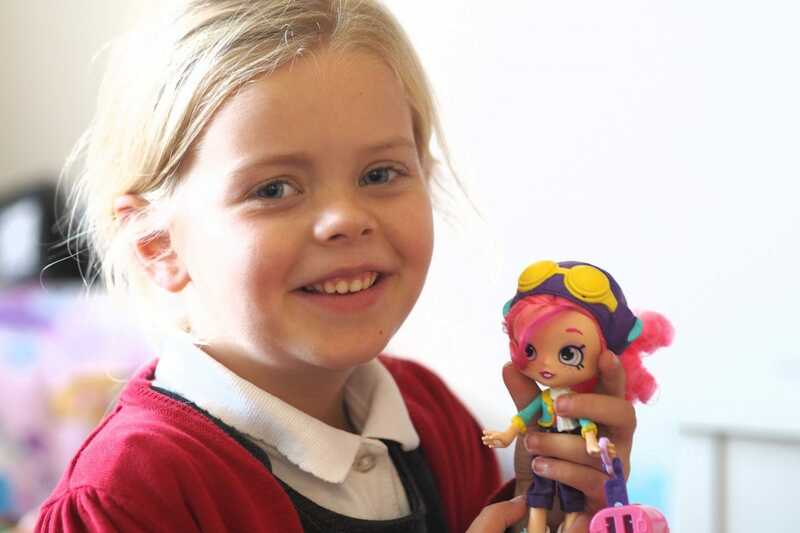 Some toys we get need extra figures or pieces to really get the full play experience but with both a doll and the Shopkins characters included there was plenty to entertain Eva, Megan and Harry. 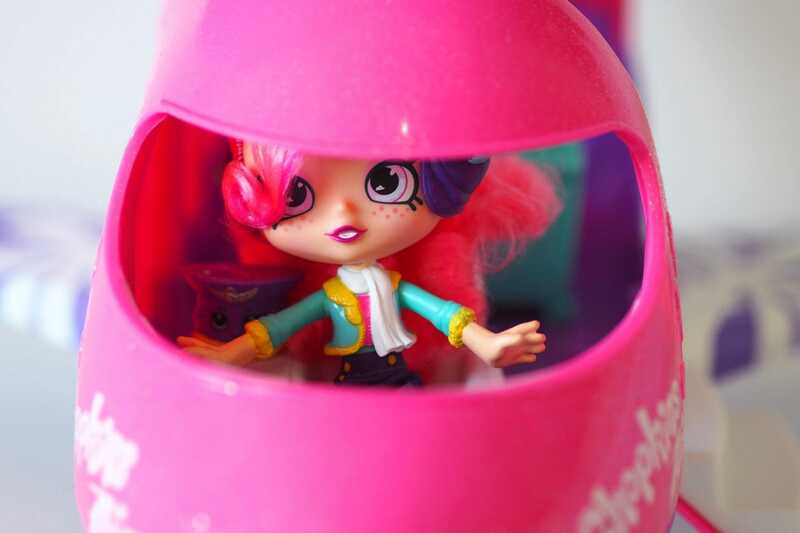 Eva was so pleased to finally have a Shopkins doll and has already asked for another this Christmas. I think seeing how much this set has been played with will ensure that Father Christmas brings the girls an extra doll each for sure! Currently on offer at £40 from Asda (normal price £49.99) I think this is actually a really reasonable price compared to similar toys on the market. Branded toys such as this will always be more expensive but the jet is a great size and will grow with the children over the coming years. 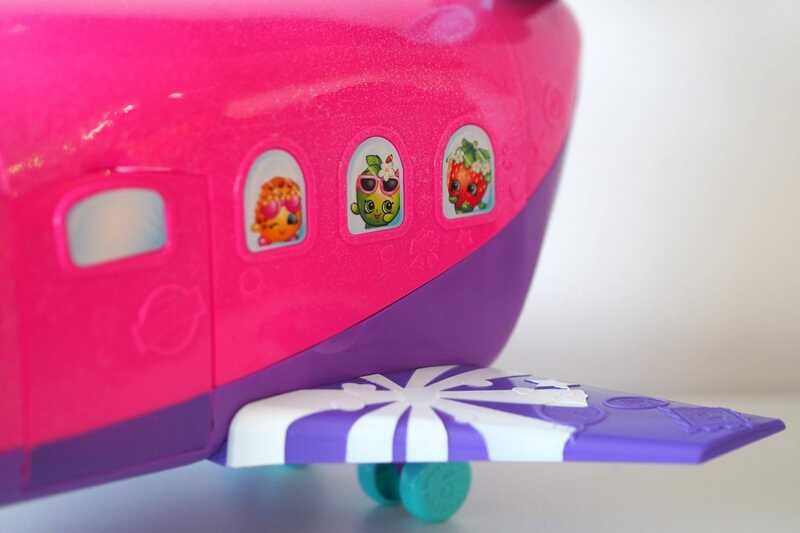 We wouldn’t hesitate to recommend the Shopkins Skyanna Jet this Christmas and I’ve got a feeling after the Asda Chosen By Kids event, this is going to be one of this years most popular items! All set for a jet set lifestyle. 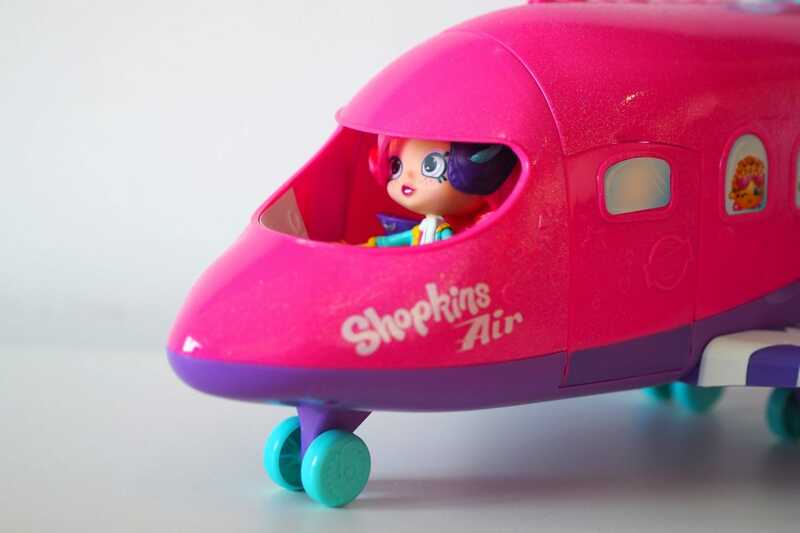 Haven’t heard of Shopkins, but it could be a good way to familiarise a child with flying before their first flight. This looks great, my daughter would love this! Especialy on long flights! This is so cute! Would love to have taken this little plane with me on my adventures when I was younger! 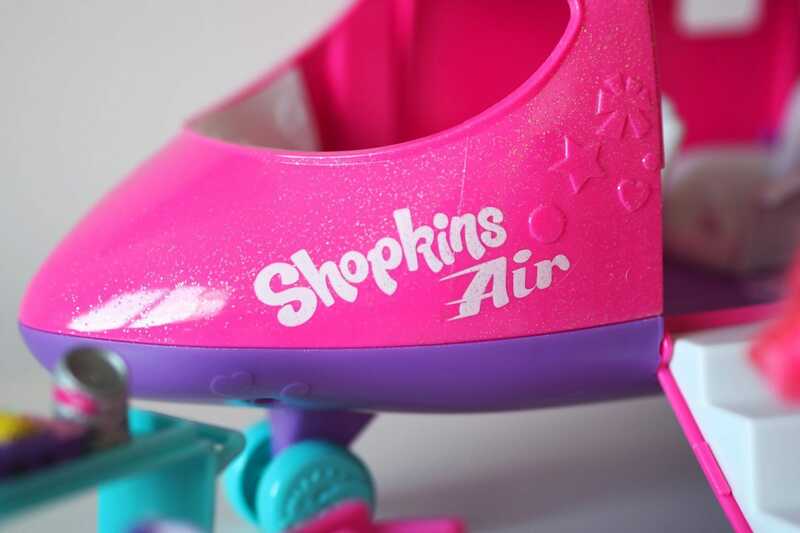 My daughter is a shopkins fan, she would love this! 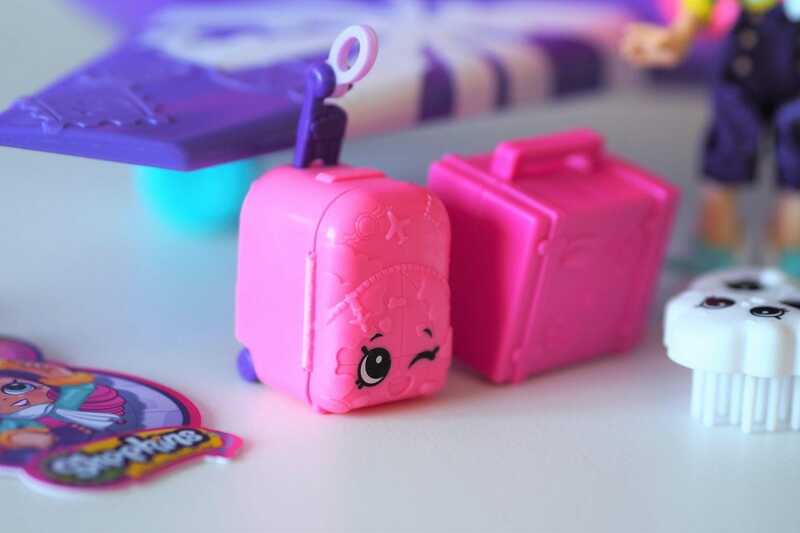 The details on this are pretty cool – even down to a winking suitcase! This looks like the perfect gift for lots of girls and boys this Christmas! I’m sure lots will be happy if Santa brings one of these on Christmas Day! The whole set looks really lovely, the little pink cowlick on Skyanna is especially cute!